Patrik Lindström Dark Electro, Industrial Now you've done it. I did not want to do this, but you forced me Alfa-Matrix. Now you made Patrik go to ranting town again. Quantity is NOT equal to quality. To get people to buy an album is not made by pressing in as much tracks in one release as possible; it's by making a solid, good album. In this 26 tracks (you can get it in a 39 track release too) release, they have simply chosen the Soviet war kind of approach in the 40's, "Let's just toss in as many people as possible, and hope for the best. No! I do not care if they have a gun or not, just get them out there", instead of choosing a solid 12 track tactical team. Alright, I think I'm done with the ranting for now, but I do not promise anything. 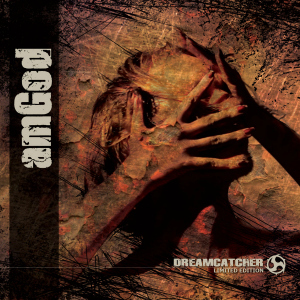 amGod have been around since the middle of the 90's, kind of. He released an album back in 1994, then a new release in 2004 (actually one mp3 release in 2000 as well) and now his third (or fourth?) in 2010 called 'Dreamcatcher'. It's 90's industrial EBM and if you like Front Line Assembly's earlier releases, you feel right at home. The track "Absorb", which is right after the intro track, is an awesome track that really captures the pure essence of the 90's EBM. A solid track really worth checking out. You have your industrial sounds, your cool English and German samples, all the great ingredients and you'll find some more good tracks part from my absolute favourite "Absorb". But then again, the 26 track mess really works to amGod's disadvantage. You could easily get 10-12 really solid EBM tracks and made one hell of an album, but by doing it this way, it all blends together in an ever going mixture of good and bad tracks and is simply unable to keep my attention throughout the lifespan on this release. If your band is not called Smashing Pumpkins and the album name is not 'Mellon Collie And The Infinite Sadness', stakes are high that you will not get away with a 2 disc album. Now you've done it. I did not want to do this, but you forced me Alfa-Matrix. Now you made Patrik go to ranting town again. Quantity is NOT equal to quality. To get people to buy an album is not made by pressing in as much tracks in one release as possible; it's by making a solid, good album. In this 26 tracks (you can get it in a 39 track release too) release, they have simply chosen the Soviet war kind of approach in the 40's, "Let's just toss in as many people as possible, and hope for the best. No! I do not care if they have a gun or not, just get them out there", instead of choosing a solid 12 track tactical team. Alright, I think I'm done with the ranting for now, but I do not promise anything. With some thought and tactic, this could have been a really solid album, but in this shape and form, it's simply just over average. Makes me sad really, good potential wasted.